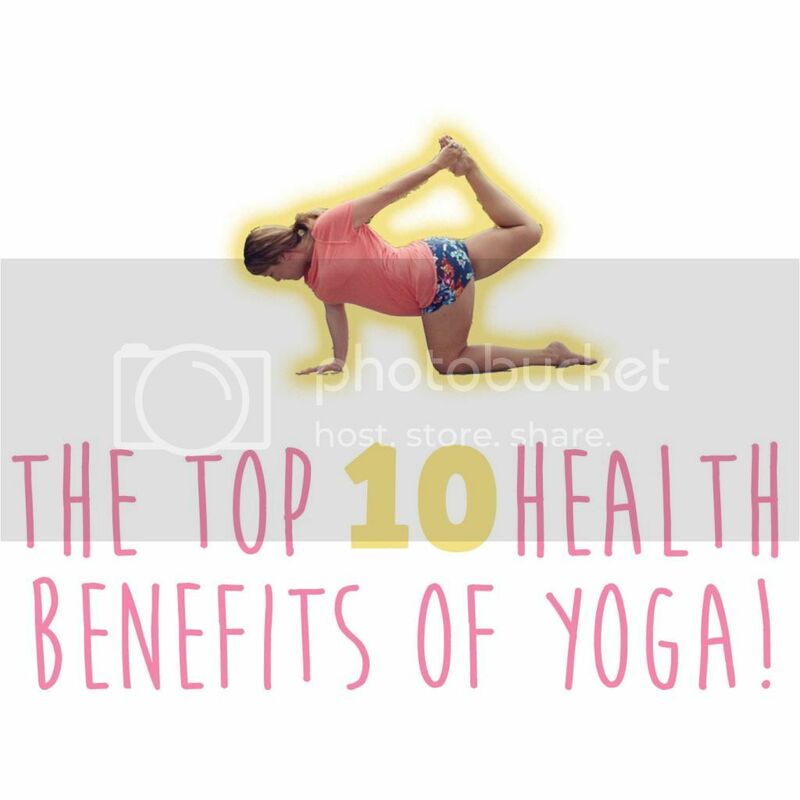 The Top 10 Health Benefits of Yoga! I've been a fan of Yoga for the past couple of years but this spring and summer I've really started to get into practicing daily, part of my Fit in 2014 plan I suppose. I just wanted to share a few reasons I think yoga is AMAZING and why I think you should give it a try (or continue practicing if you already do)! I'm a "curvy" girl and love bending and twisting into these poses - so there's no excuse, if I can do it - you can too! 1. Feeling stiff and uncomfortable? Try Yoga - even if it hurts a little at first. Yoga helps improve flexibility! Being more flexible will also help prevent injury and improves the quality of your day to day life. 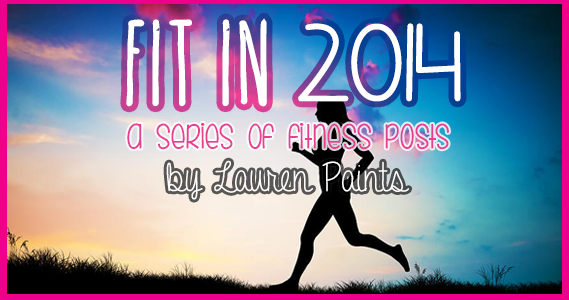 After only 8 weeks, you are said to be 35% more flexible than when you started! 2. Yoga helps you feel more comfortable being you - regular yoga classes are shown to improve memory, concentration, and self-esteem. Recent studies also claim yoga may help in the prevention and treatment of Alzheimer's! Plus, yoga is simply calming - it helps with your stress levels! 3. Yoga can help lower your blood pressure - studies have shown that regular doing yoga improves circulation and relaxes your blood vessels! Yoga not only relaxes your blood vessels - it helps to provide all of your organs and muscles with the proper amount of oxygen keeping your body healthy and balanced! 4. Yoga helps with weight loss! Vinyasa/Flow yoga can burn up to 594 calories an hour! Heard of Hot Yoga? You can burn even more calories in this type of yoga practice. I like to think any time I do yoga, even if it's just a few poses - it's better than just being a couch potato! Plus, yoga helps increase your metabolism! How amazing is that? 5. Yoga Reduced Soreness - so practice every day, even if you are sore! Yoga relaxes your entire body and helps to loosen up joints, muscles, and more. It also promotes good posture and circulation which will help prevent soreness or reduce chronic pain. 6. Does your immune system need a boost? Give yoga a try! Yoga helps balance your nervous system, when your body is in balance your immune system can work. 7. Trying to Conceive? Yoga may help. Yoga allows you to relax, de-stress, and open up energetic channels, thereby improving chances of conception. Yoga may also allow for better blood flow to reproductive organs, improving organ function and improving hormone function! 8. Catching some ZzzZ's can be tough sometimes, good thing Yoga helps most people suffering from insomnia. The relaxing flows and added circulation help your body to relax and the meditative nature of yoga will help your mind relax. Let go and drift away after a good yoga session nightly. Your body will thank you for it! 9. Wanting to try a trendy Detox diet? Think about trying Yoga first! With Yoga you can get rid of the toxins in your body in a natural way. The various exercises and breathing techniques in Yoga help in flushing out the toxins from every part of your body, leaving you healthy and refreshed. 10. Yoga helps you to achieve Inner Peace. The meditative aspects of yoga help you to reach a deeper, more spiritual and satisifying place in your life. This is why I practice daily - it helps me feel connected and aligned!